Microsoft’s Surface Headphones. Its on-device dial controls are great. Battery life and noise-cancelling, not so much, for the price. Apple’s AirPods have made wireless earbuds the must-have accessory. Amazon is expected to release its own Alexa-connected earbuds, and Samsung has its own Galaxy-branded earbuds. Distinguishing them from traditional earbuds, these all contain microphones so you can talk to Siri, Alexa, or Bixby. For Microsoft, Cortana would be an option, but it’s more likely that you’d be talking to Siri or Google Assistant, given Cortana’s diminishing presence. Microsoft has shipped earbuds before: the Zune media player came with earbuds with a feature that sounds simple but is actually ingenious: the earbuds were magnetic and would stick together back to back. The result? Much less cable tangling when you put them in your pocket or bag. 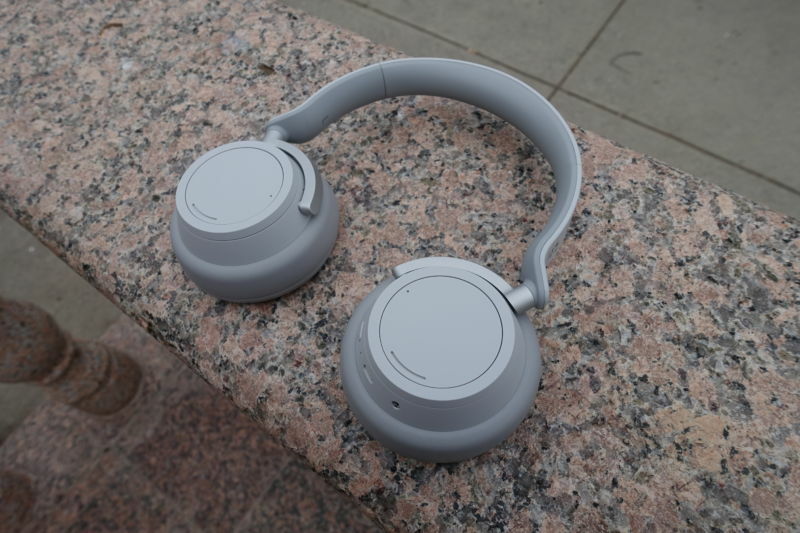 Surface Headphones seem to be competitive with other noise-cancelling over-the-ear headphones: their wireless range is great, the noise cancelling is solid, and their volume and noise-cancelling dials are a joy to use, but their battery life and Bluetooth audio standard support are both weak. As such, Microsoft is not totally without experience in this area and has shown that it can engineer thoughtful, compelling designs. How the putative earbuds will stand out from the crowd remains to be seen, of course. The existing Surface Headphones were codenamed Joplin, raising the question: Janis or Scott? The earbuds make the answer to that question clear; they’re apparently codenamed Morrison, as in Jim, meaning that the over-the-ear headphones are clearly named for Janis. Sams says that “Surface Buds” has been mooted as their retail name, with a possible launch in 2019.